Hello my lovelies! I've always wanted to use that! Anyway, some of you might know that I am currently without internet in my house, so it's hard for me to blog as much as I would like. So I've decided to do a catch-up post while I can. 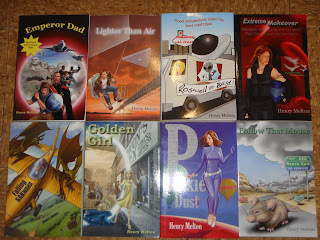 I know the titles are hard to see so here's what you're looking at: Emperor Dad, Lighter Than Air, Roswell or Bust, Extreme Makeover, Falling BAKward, Golden Girl, Pixie Dust, and his newest release, Follow That Mouse. They're all sci-fi kind of books (which is a little out of my norm) but they look really good and I can't wait to get into one! If you're interested in any of these, feel free to contact me. 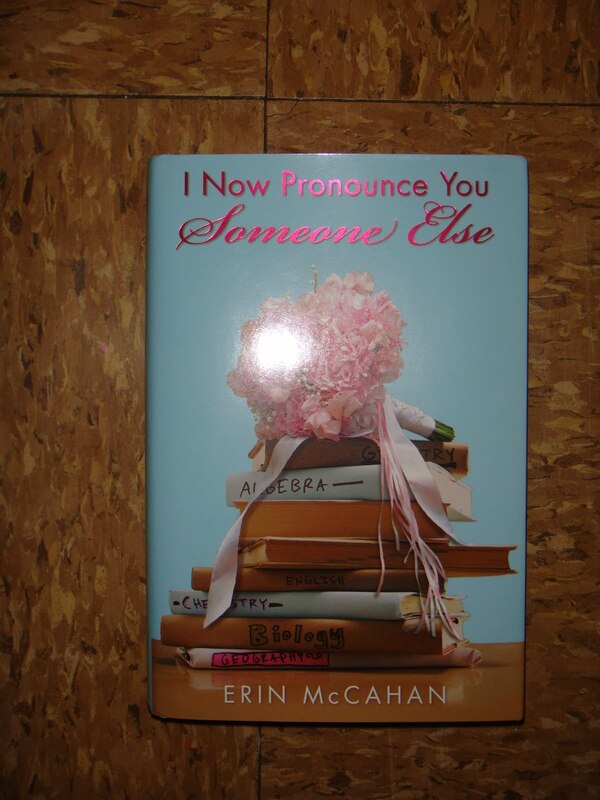 Next, I was also contacted by Erin McCahan, author of I Now Pronounce You Someone Else. 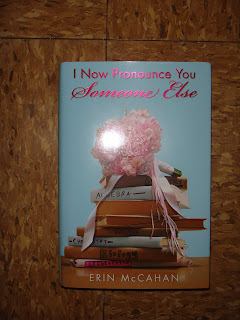 She sent me a copy of her book and guess what? She'll be stopping by my blog on October 12th during her blog tour! That's one month from today so be sure to come back and check it out! Last but definitely not least, I went to Borders yesterday and picked up three very amazing books! 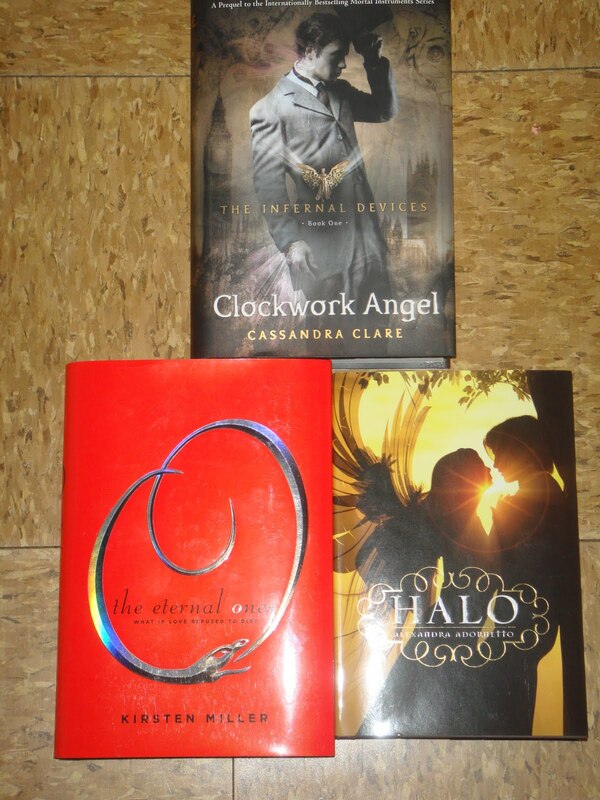 Clockwork Angel, The Eternal Ones and Halo. Now seriously, I don't think I should have to mention the authors of these books. You really ought to know them by now! If not, just click the links I've so graciously provided. I can't tell you how happy I am to finally have these books on my shelves! How will I ever decide which one to read first? Pfft! Who am I kidding? Clockwork Angel is first!